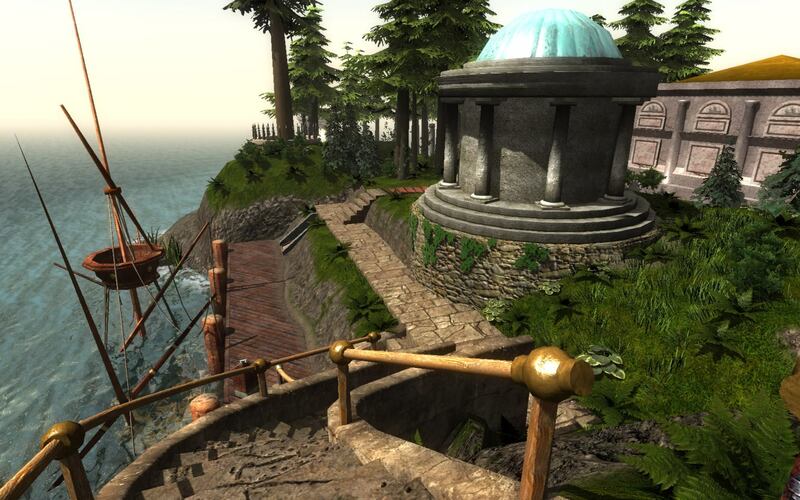 Continue reading RealMyst update news. Tags: cyan, myst, realmyst, seltani, starry expanse, unity. Continue reading IF Gathering 2013, quick notes. The holiday weekend is over, so it's September by anybody's definition. Where are we? I got one of the lead-weight puzzles hammered into shape. (Not a pun, it's not a hammering puzzle.) I implemented the alchemical effects that deal with the lead weight -- and some other lead objects lying around, of course, because you gotta acknowledge consistency. I put in some common verbs ("free", "release", "unfasten") which I've been meaning to do for months. I dealt with several irritating map-navigation cases. Not done: the other major lead-weight puzzle; the puzzle elements outside the starship; more map quirks. Since that's roughly equivalent in scope to what I did this month -- and half of what I described as "remaining major puzzle items" last month -- I'm happy to say that September should cover them. Once again this is a short update, but you get a September milestone out of it, at least. My non-HL milestone for the month was presenting Seltani at a Myst fan convention (at the beginning of August) and then to the rest of the Internet. You can read the introductory talk on my web site, if you haven't already. Try it out! Ages are being added nigh-daily, at this point. I haven't been working on Seltani intensively -- that was May and June -- but I've been bumping the features and bug fixes forward, with the help of the first wave of dedicated users. (Thanks, users!) I will continue to push on it in combination with all my other crazy projects, because I believe in it. And I will see you all at the end of the month.